People look at their windows nearly every day, and many people still don’t know all of the common home window parts and how they interact with one another. Understanding the definition and the function of all of these different parts can make it that much easier for people to repair their own windows and replace their window parts if necessary. They will also find it easier to understand what the window repair technicians say, if applicable. 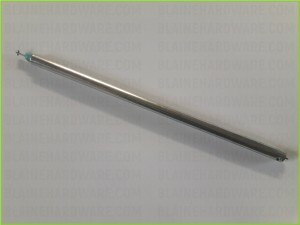 This is just a small list of (some) common window parts that we sell at Blaine, you can also view our catalog, visit our eBay store or submit a window part to be professionally identified by using the identify part form or alternatively send a few good pictures of your window parts to 847-305-6372. We provide nationwide shipping to all 50 states and our storefront warehouse is located right outside of Chicago, IL near O’Hare airport. Double hung windows have sashes. The movable panels of the window are the sashes. The window balance is used to counter-balance the sash in order to maintain the sash’s upward position. Window balances are essential to the function of a double hung window. A window operator can make all the difference when it comes to opening and closing a window easily. Window balances and window operators more or less help work together in order to make windows both stable and usable. 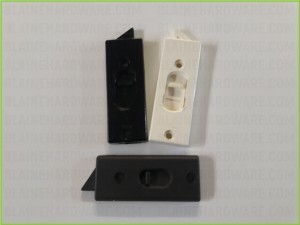 The tilt latch is the part that unlocks the window sash mechanically and enables the sash to tilt inwards from the primary frame of the window. It’s a very small part that people have a tendency to operate without even really focusing on it. 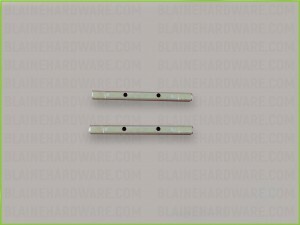 This is a lock that is designed to pull the rails of the window together tightly enough that when it is active, the window is going to be completely sealed. 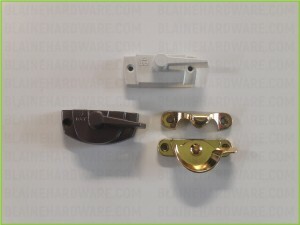 The sash lock is a cam-action lock in most cases. The pivot bar is part of the pivot system. It allows the sash of the window to rotate inward, and it is part of the bottom corner of the operable sash. The pivot guide, or pivot system, attaches the window sash to the window balance. The sash and the frame are perfectly aligned as a result. 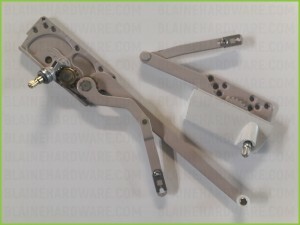 Many other window parts are in our catalog this is just a small list of some of the common hardware we offer. Not sure what you need or the model number? 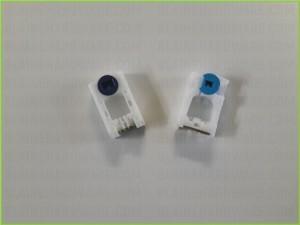 Just fill out the form below and we will identify your hardware, see if its in stock, give you a price and provide nationwide shipping on all window parts to all 50 states. Truth, Republic, Acorn, Andersen, Capitol, Caradco, Crossley, Daryl, Howard, Look, Malta, Marvin, Norandex, Pella, ROW, Sash Controls, Stanley and more.